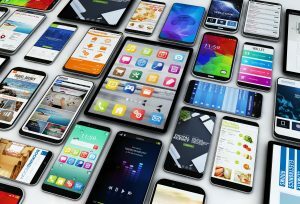 Smartphone Market Saw Their Worst Sales in 2018 | HOBI International, Inc. Global smartphone sales saw their worst contraction ever in 2018, and the outlook for 2019 isn’t much better, new surveys shows. Worldwide handset volumes declined 4.1 percent in 2018 to a total of 1.4 billion units shipped for the full year, according to research firm IDC, which sees a potential for further declines this year. Reith said the market has been hit by consumers waiting longer to replace their phones, frustration around the high cost of premium devices, and political and economic uncertainty. Other market research firms offered additional reasons for the downturn in their reports: Strategy Analytics also cited economic headwinds, while IHS noted political effects on sales, like the US-China trade dispute driving a patriotic fervor in the latter country for citizens to buy smartphones from Chinese manufacturers (Huawei, Xiaomi, etc). Alongside rising smartphone prices, there are other reasons consumers held on to old phones, like continued security updates and OS upgrades to older devices. But some wounds were self-inflicted: Apple openly noted that its cheap battery replacement program contributed to fewer iPhones sold than anticipated. The smartphone market also failed to introduce any great innovations to captivate consumers. Manufacturers still tried to push sales with extra features like improved AI, triple-lens cameras, full-screen displays, in-screen fingerprint scanners and other additions – but none drove sales as a must-have tech development. Aside from noting the reasons behind the shipment decline, the reports (from Counterpoint Research, Strategy Analytics and IHS) cited other changes from 2017 to 2018 – namely, market share. The big surprise at the lower end of the market share pie: HMD Global’s Nokia line shipped 15 million units last year, up from 5 million in 2017. The rest of the phones shipped saw a trend-reflected 22% drop in units shipped, from 429 million in 2017 to 336 million last year. Thus, the winners this year were those who retained their shipment numbers despite a less friendly consumer base. It’s still too early to predict what the 2019 market will look like. But factoring in all that happened to the market last year, it isn’t looking all that good. Manufacturers can only hope foldable displays, no notch and punch hole cameras will help get consumers interested.